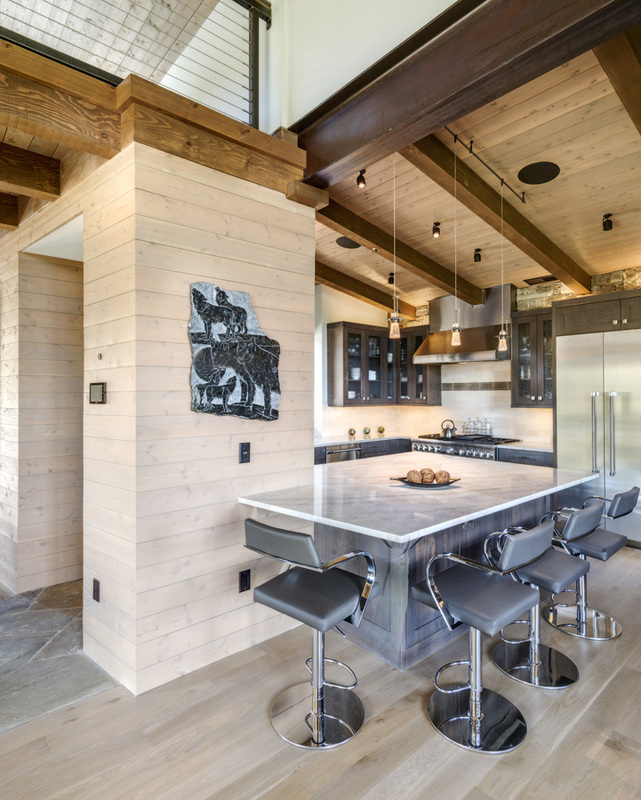 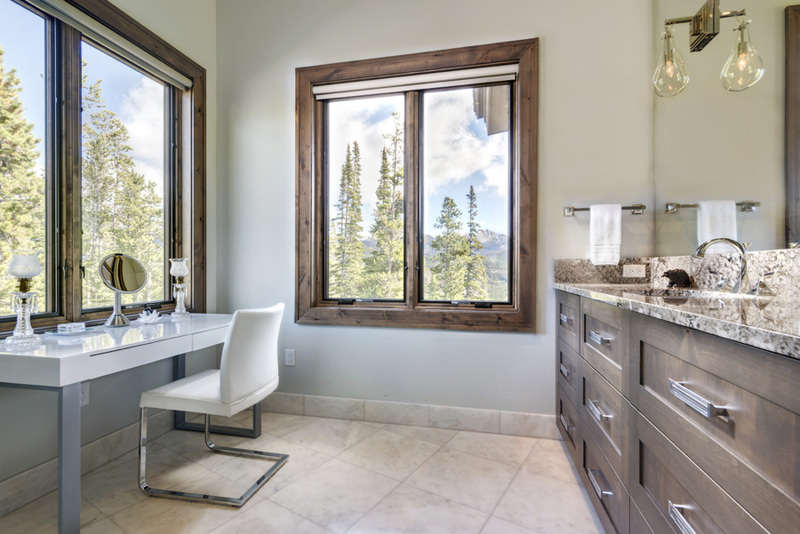 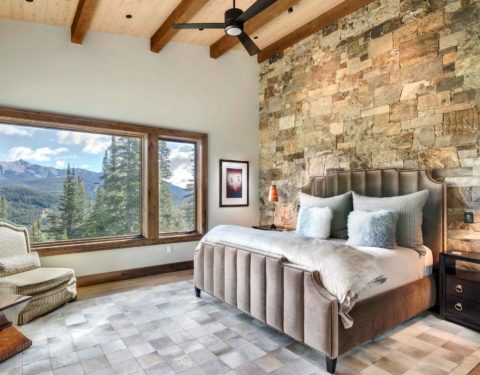 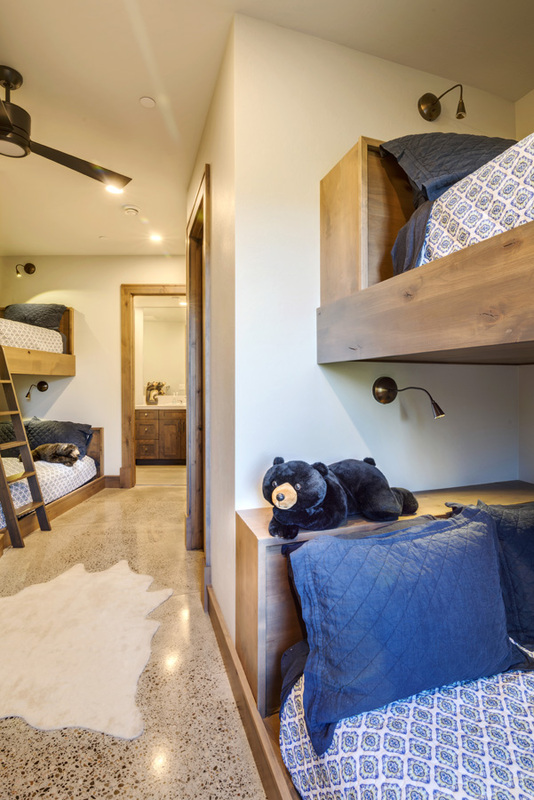 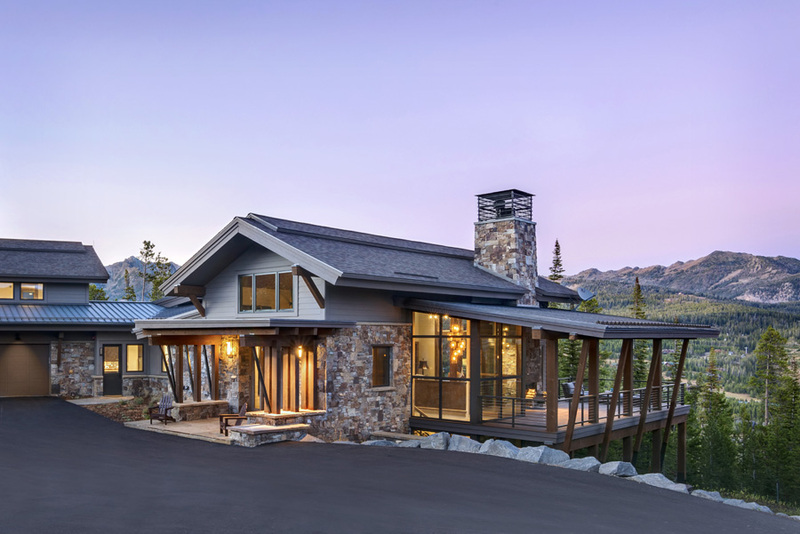 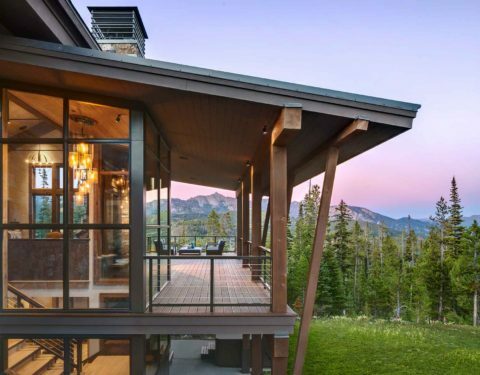 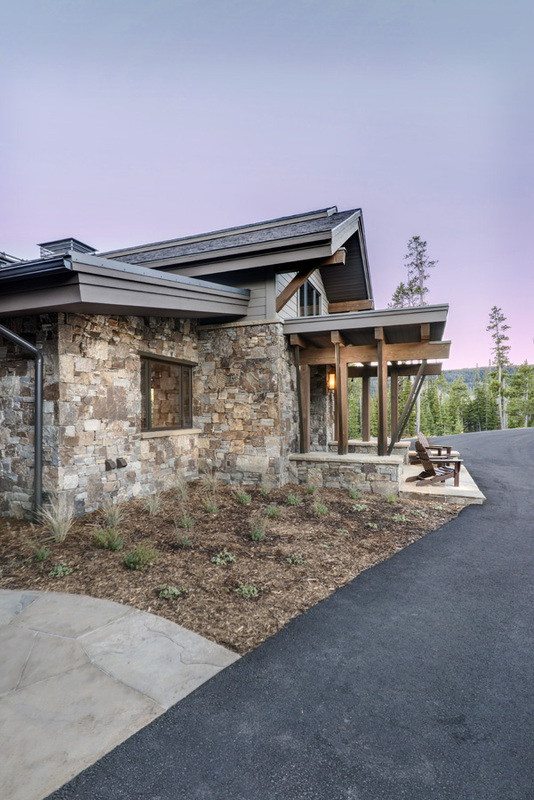 From the picturesque scenery to its remarkable spaces, it’s no secret why the owners consider this mountain modern house a treasure. 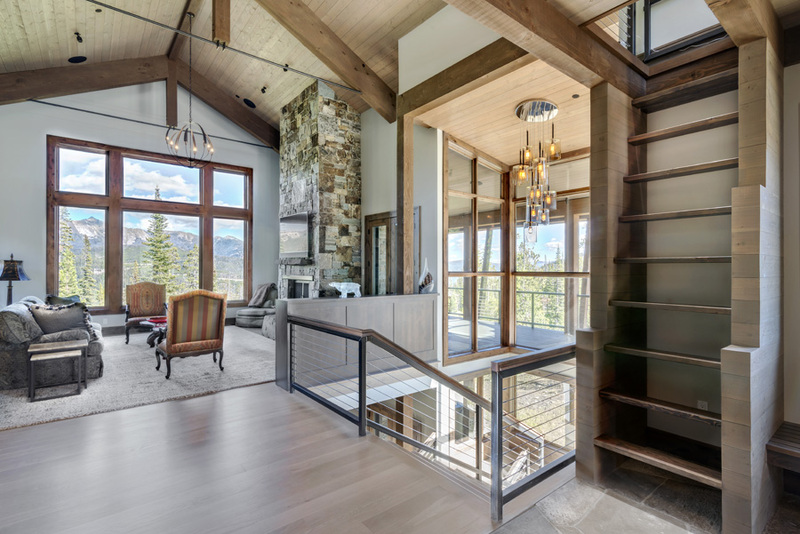 This gorgeous Big Sky custom home is truly the epitome of an open concept floor plan. 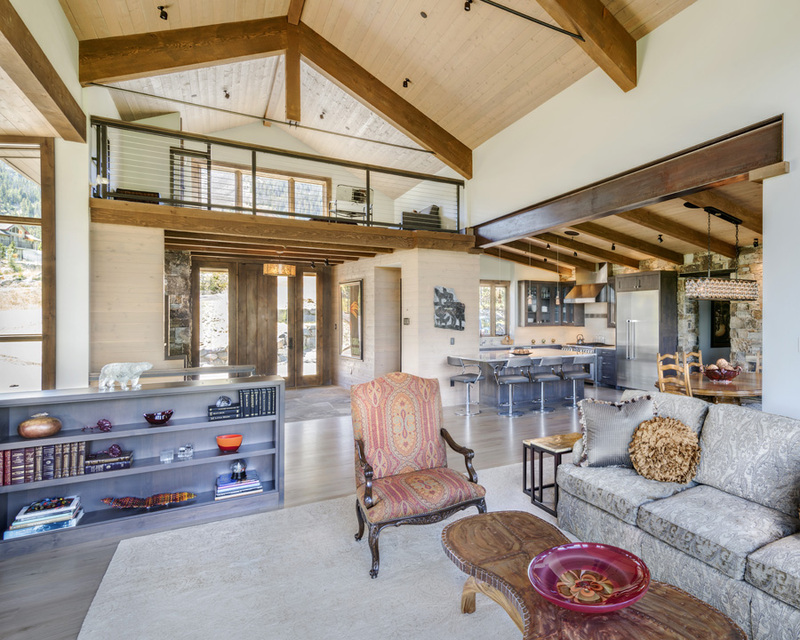 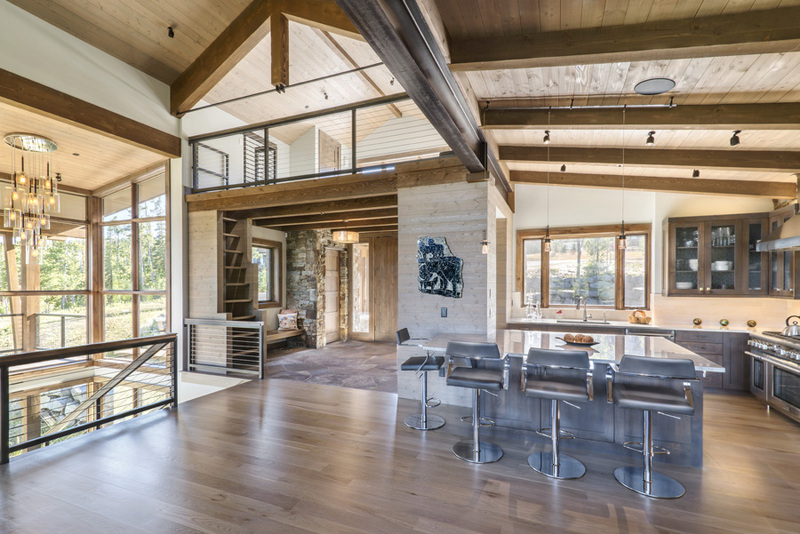 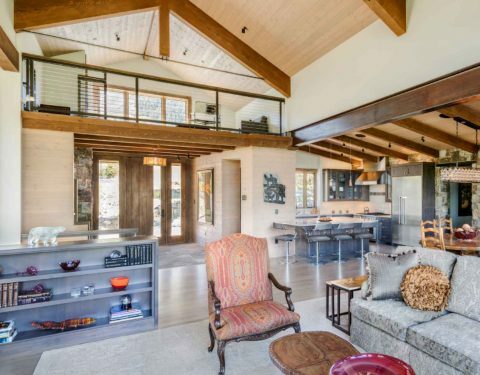 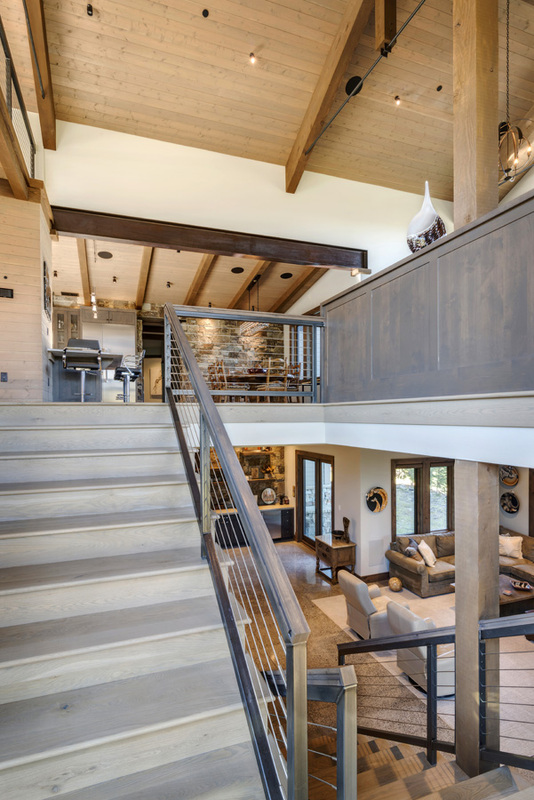 The home’s vaulted tongue and groove ceiling immediately draws one from the entry into the great room, but not before showing off the inviting landscape visible from the staircase that leads to the entertainment space in the lower level. 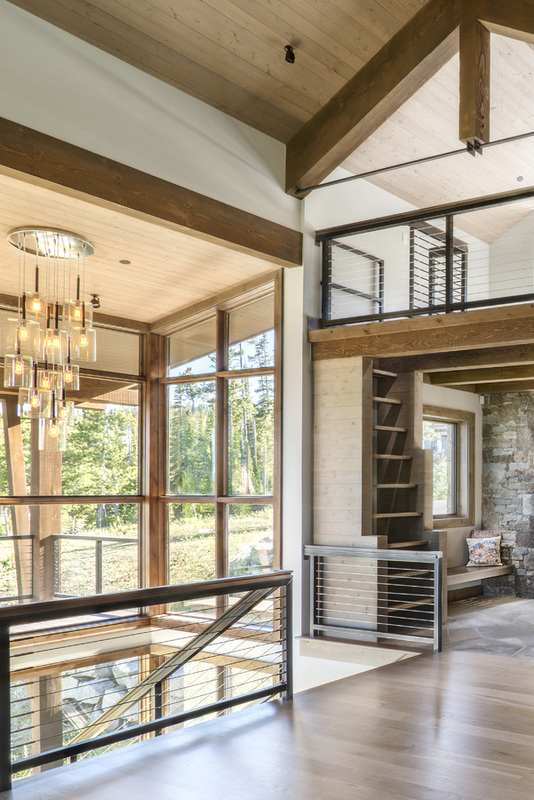 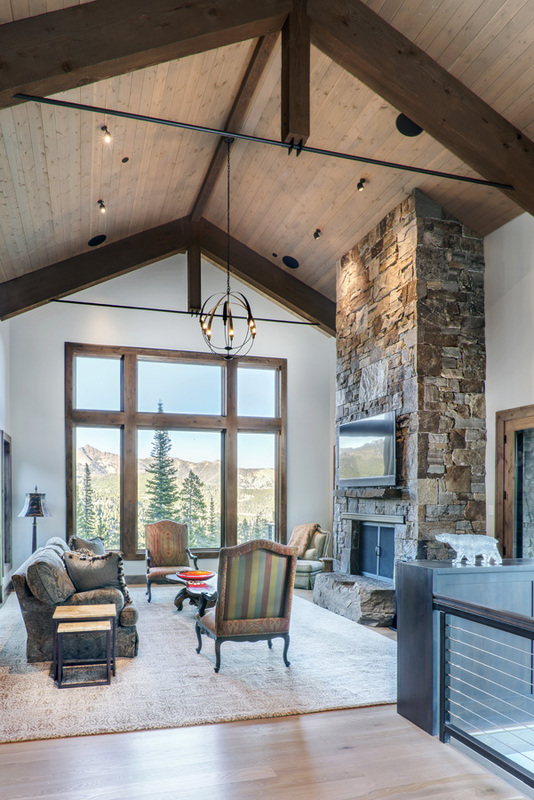 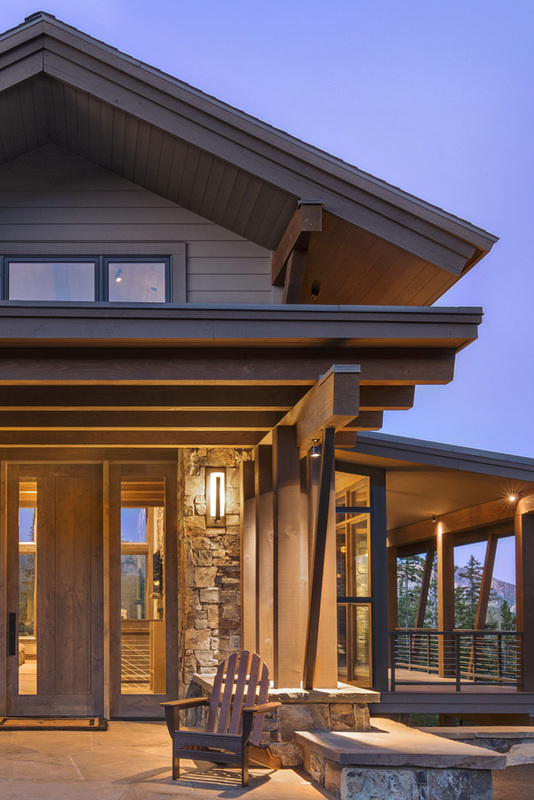 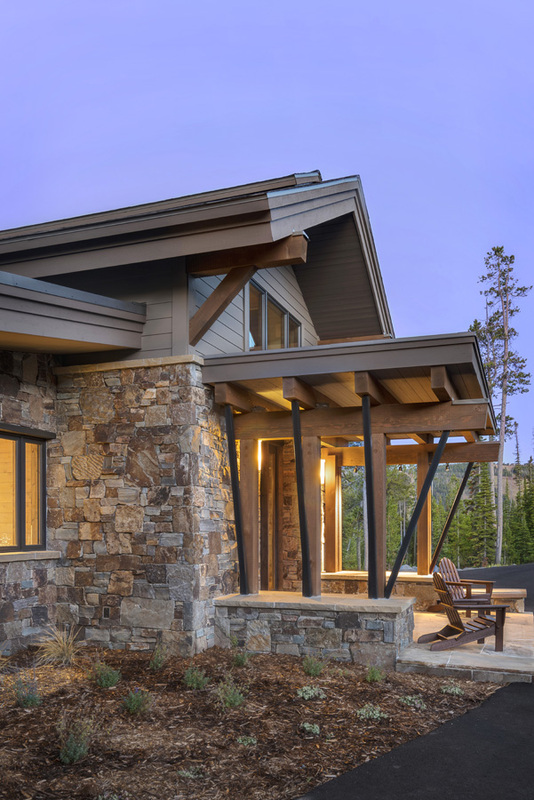 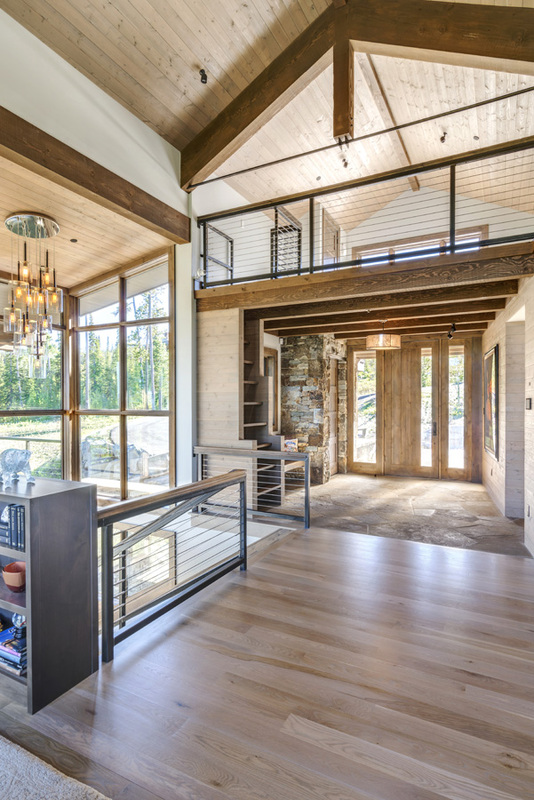 Exterior walls in the split-level abode are almost entirely composed of windows, creating breathtaking glimpses of peaks and ranges from almost any room in the house. 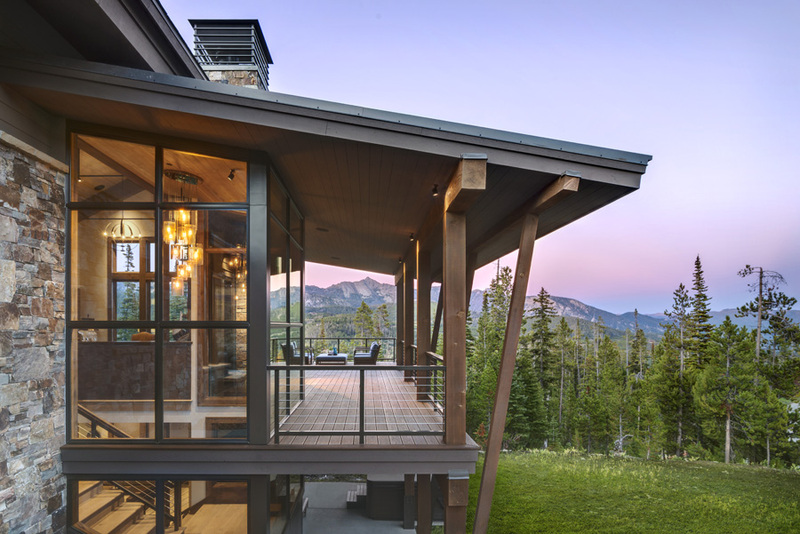 Only the unobstructed views from the deck could top the inside perspective. 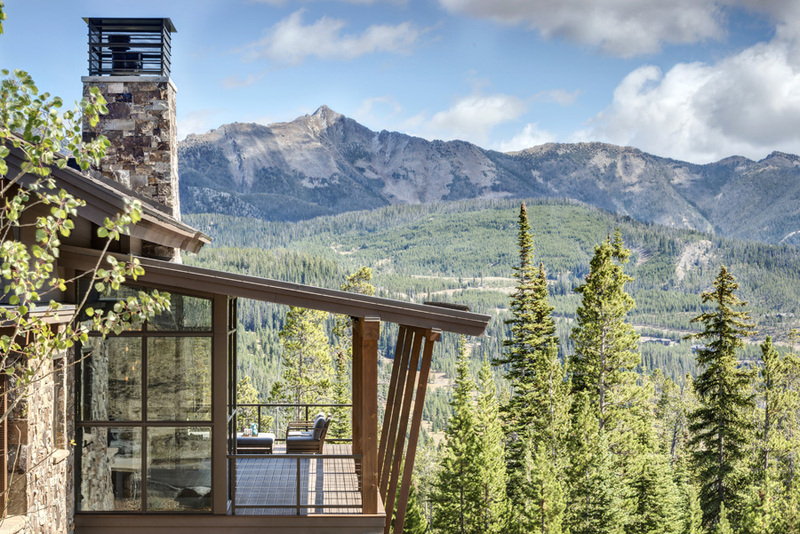 Pause at the railing to take in the smell of Pines in the fresh Montana air and absorb the vision of the valley below. 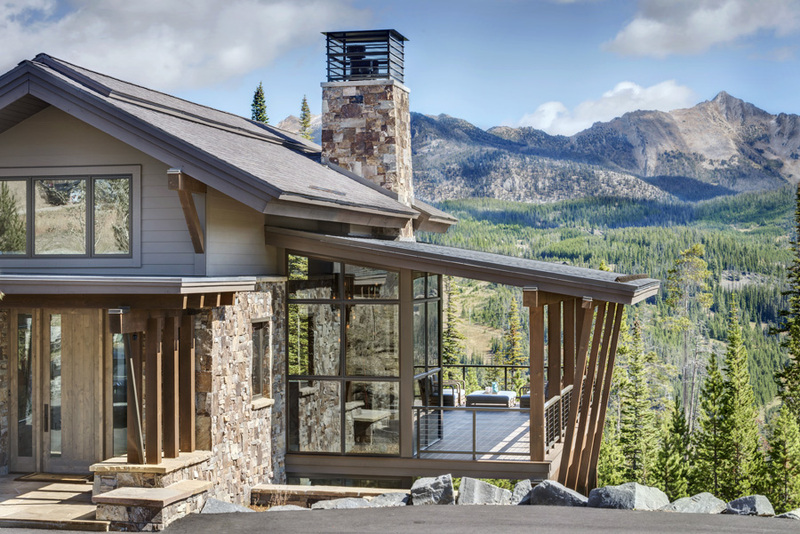 The beauty outside is only a backdrop to the exquisite craftsmanship and fine finishes displayed throughout the home. 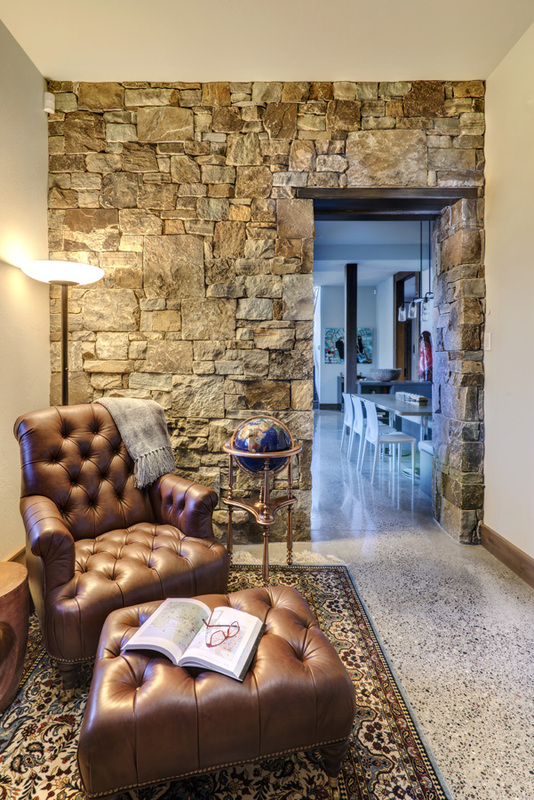 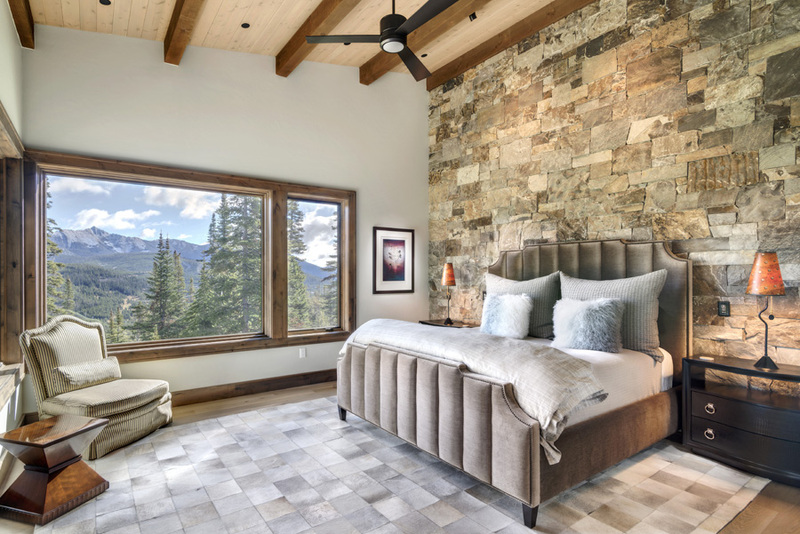 A mural of warm tones flows through the intricate stonework feature walls, capturing the focus of multiple rooms. 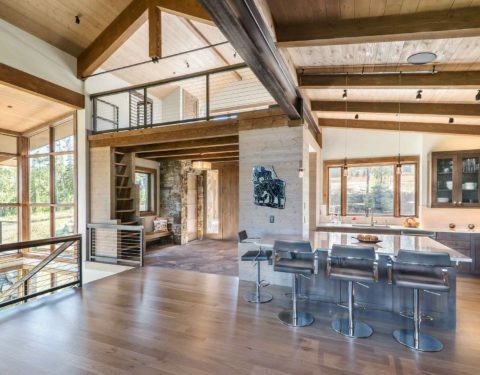 When paired against the sleek contours of wood flooring, marbled granite countertops, and diverse design textures, the result is an elevated ambiance that is Pinterest perfect. 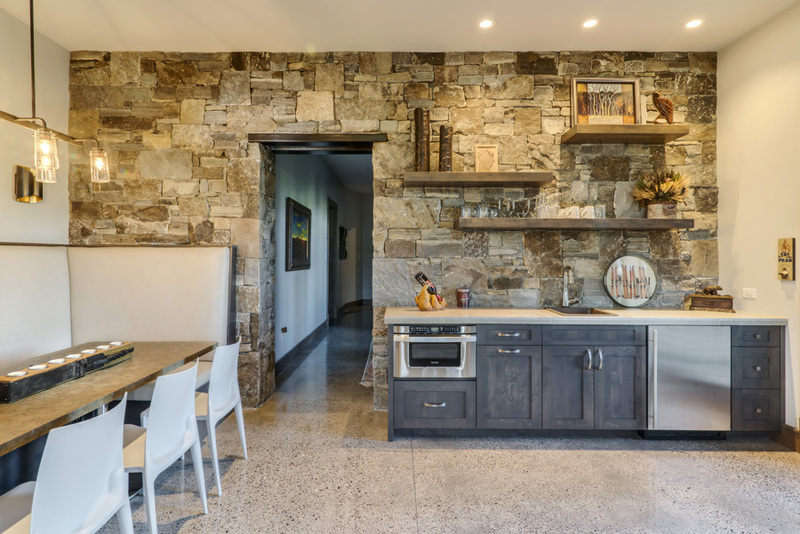 Additional notable features include: a semi-private loft and a lower level perfect for entertaining and accommodating an intimate gathering or holiday crowd. 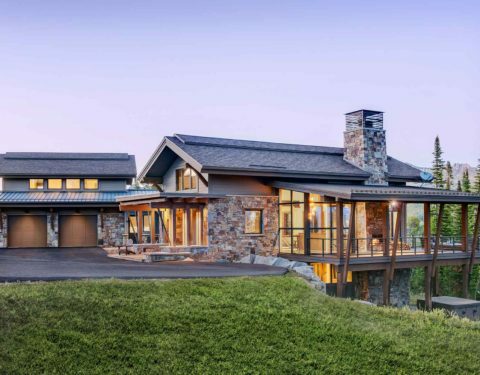 From the picturesque scenery to its remarkable spaces, it’s no secret why the owners consider this home a treasure.